Ilfordin ISO 400 mustavalkofilmi. Rajattu 100 kappaleen erä Kameratorilla. 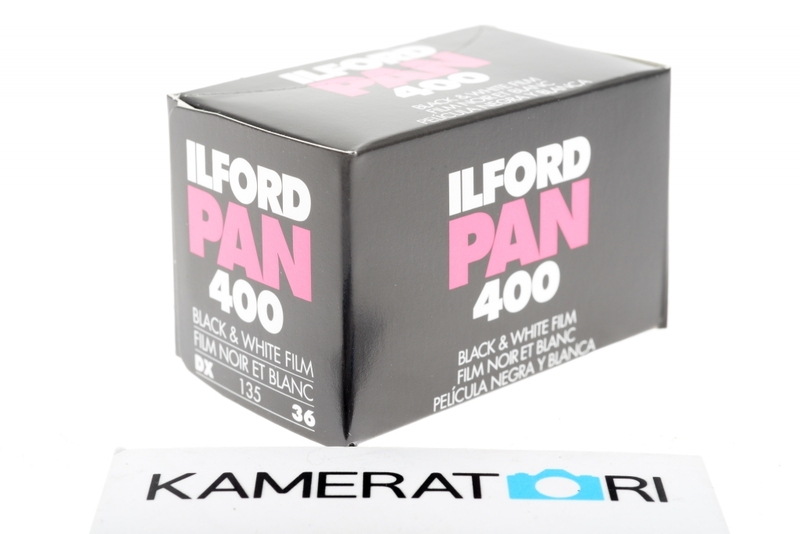 ILFORD PAN 400 is a fast black and white film ideal for action, available light and general purpose photography. It has fine grain for its speed and excellent contrast and sharpness combining to give excellent image quality. Ilford Pan 400 has a high degree of exposure latitude, 1 1/2 stops under to as much as 5 stops over, making them easy and reliable to use in difficult lighting conditions.